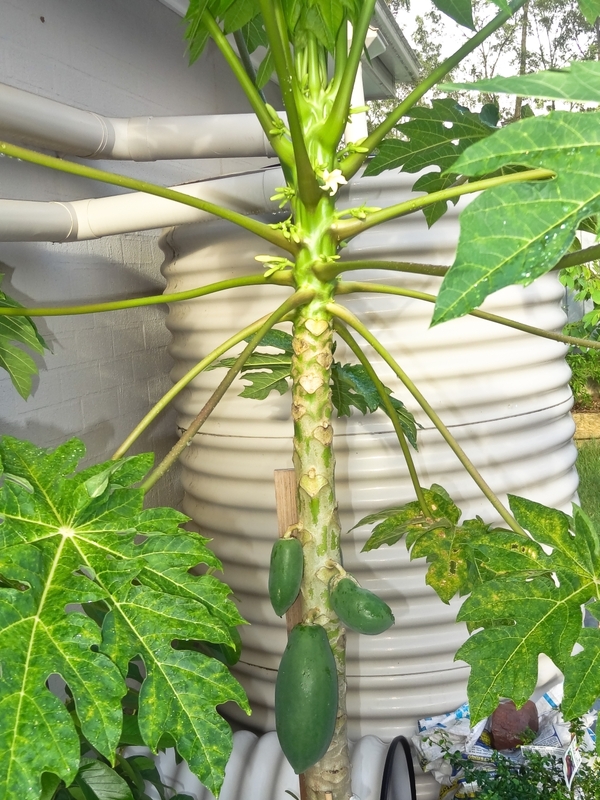 i am currently growing a Cutting Grown Southern Red papaya in a pot. The weather in Melbourne so far has been very hot and dry for a long time. So, i don't know if the weather has a part to play with this situation as well. May be someone will have some advice..
those look like female flowers to me. are also growing very slowly. That open flower in above pic is male flower, unopened flower could be female as they have slightly thicker base. peter 1000 the southern red is "80% bisexual" so you can get one of the 20%. Read the fine print! Well yours must be bisexual then Db. 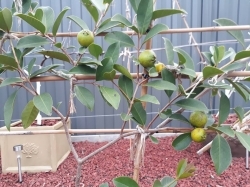 Thanks Peter, I feed mine every 2-3 weeks with powerfeed, sulphate of potash, slow release fertilizer, blood n bone and dynamic lifter (just one fert at a time), those leaves became yellow in this summer when temp was high but now tree is growing well after a month of non stop rain here in Brisbane. 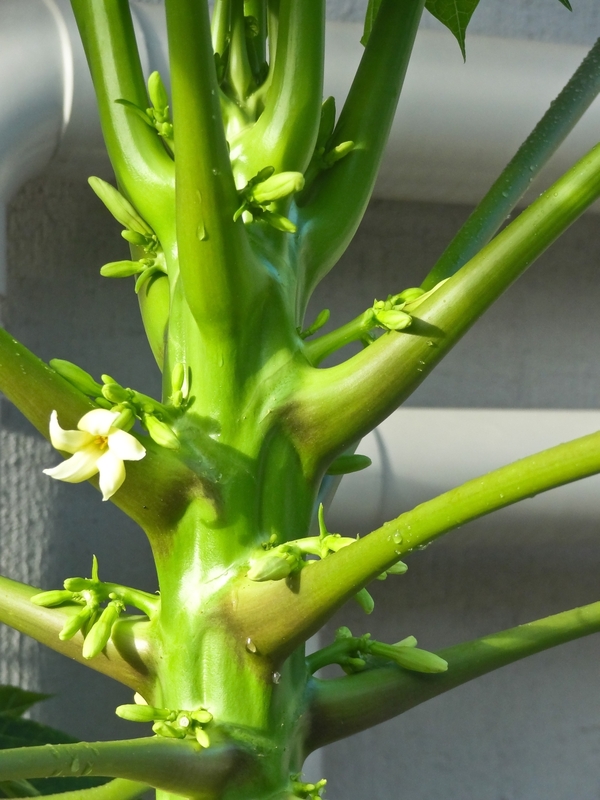 For my papaya plant, it seems like the flowers are not holding. Not sure why. Any ideas? Allusion not sure which gender it is. I've attached a photo. What do you think it is? 1. Natural flower drop especially the first few blossoms. 5. Sometimes animals like birds and chameleons can strip flowers when chasing insects close or around the flowers. 6. Over fertilization - excessive vegetative growth at the expense of flowers and fruit set. 7. Young and immature trees usually drop majority of their flower buds during their first season. 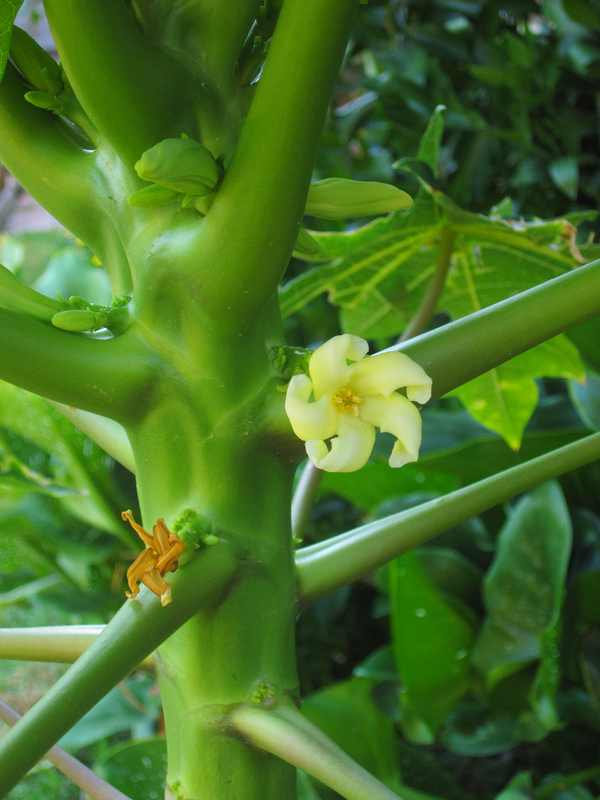 Have you guys heard or read stories of changing your papaya from male to female plants with different methods. What are some of your thoughts on this?? 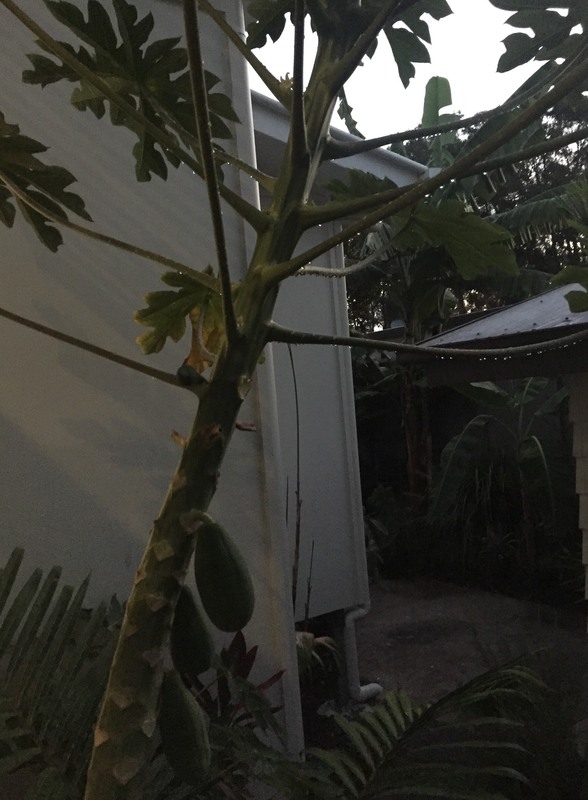 My papaya looks exactly like yours. 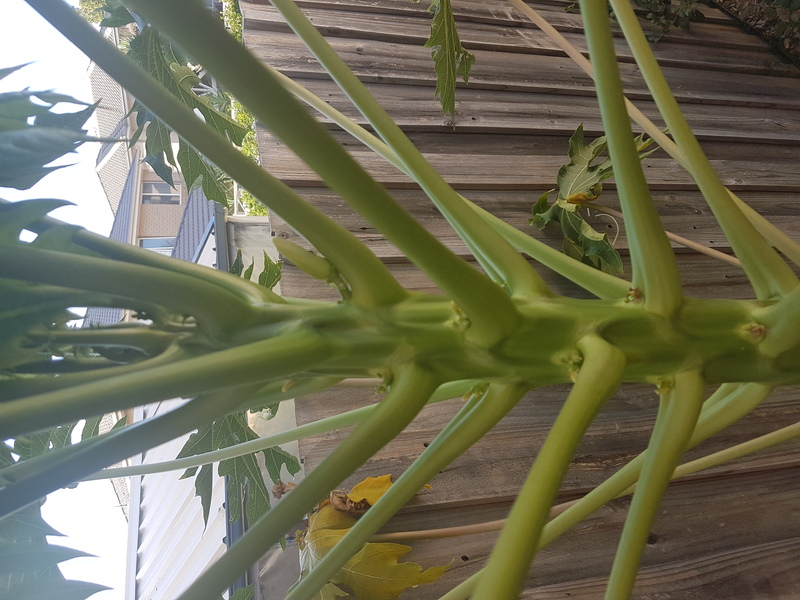 I grew it from seed, it is a healthy looking plant and initially got 5 fruit on it (very small though) but now the flowers just drop off before they set into fruit. I'm pretty sure it is a bisexual because it has both male and female flowers. Im on the Sunshine Coast with sandy soil - have had a super hot summer with hardly any rain but I do water it regularly and fertilize with dynamic lifter and seasol. Not sure what is wrong with it - maybe too much nitrogen by the looks of the growth compared to fruit. Anyhow, its days are numbered if the flowers don't decide to hang around.